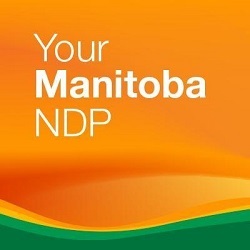 The Manitoba NDP says that the Pallister Government is not doing enough for the north. NDP leader Wab Kinew spoke to Arctic Radio News and said that action should be taken to help with the current situation, rather than focusing on the Look North initiative and the Manitoba-First Nations Mineral Development Protocol. Kinew said that even though there is a need for improving the relationship between First Nations communities and the mining industry, things like development protocols will lead to jobs years from now, and don’t do anything for the present. The Fort Rouge MLA said that the Province wants those who lose jobs in the mining industry to transition into the tourism industry, and that those jobs won’t provide the same standard of living the workers are used to. Kinew said that the NDP is proposing to work with community leaders and labor to keep job sites in the north open, while working to provide training with those who have taken voluntary buy-outs or those who have had suffice to notice of job loss. He added that by giving people an opportunity to keep their skills up to date, they will be more likely to get a good job in a different sector. The Manitoba NDP say that they will continue to push for more investment in bringing new industries to the north.